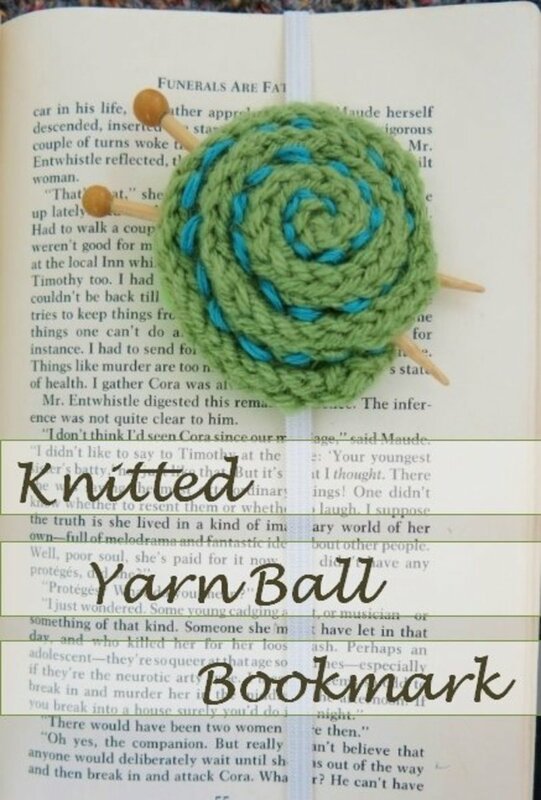 When I first started knitting, I read a lot of books and articles about every phase of completing a project. 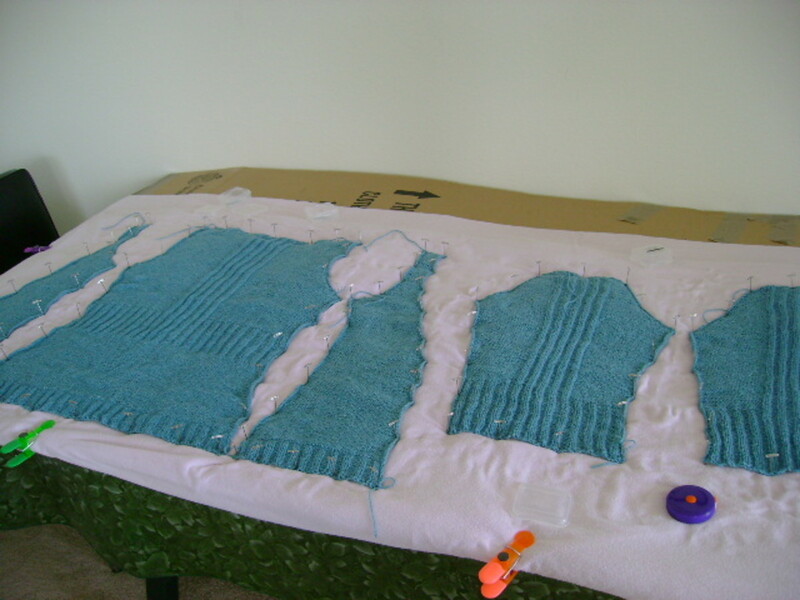 All the sources stated that one of the final steps of finishing is to block your knitted piece. Although I could find various instructions on HOW to block my knitting, none of them explained WHY I should block my knitwear or how I would know that I had done it CORRECTLY? As a result, every time I finished knitting something and faced having to block it, I was nervous that I would stretch it out of shape, or not block it enough for it to look "right." Over my years of knitting (and with many attempts), I've discovered an easy and safe way to block most of my knitting projects. 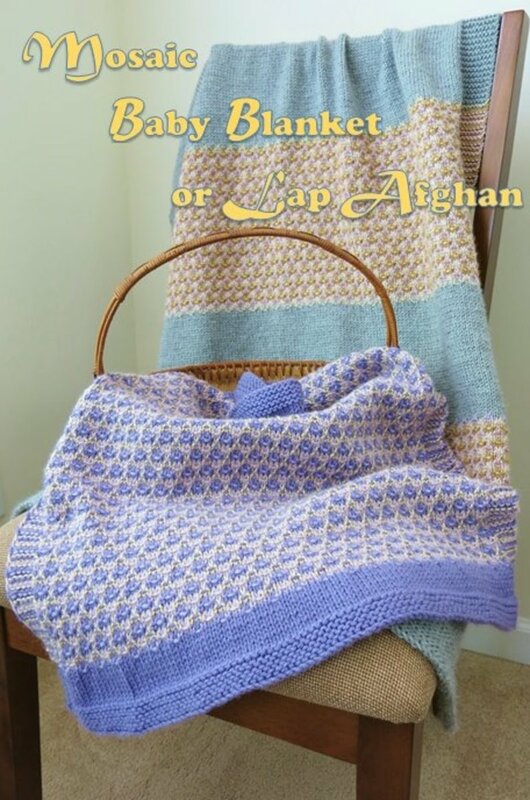 I hope these hints answer some of the questions that most people face when blocking and offer some suggestions on the best method to finish your favorite knitwear. 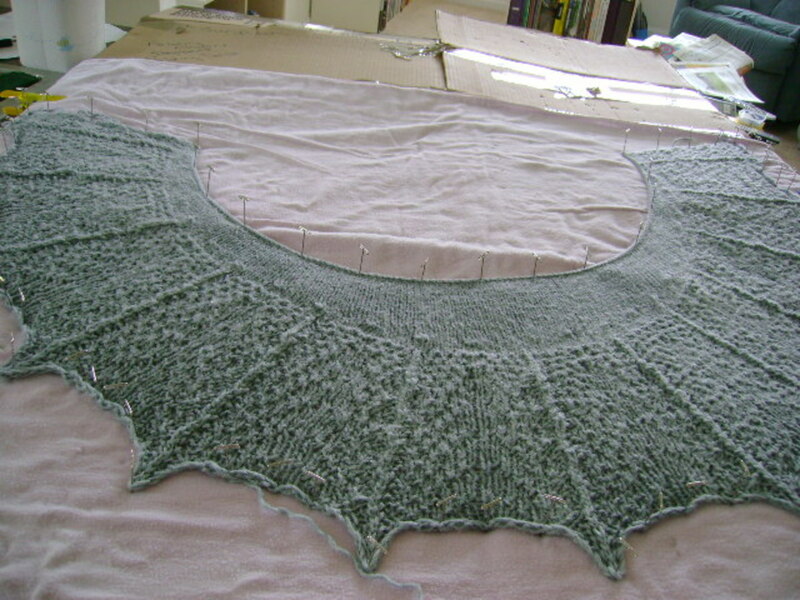 There are many reasons why most finished knit pieces would benefit from blocking. 1. Blocking can straighten out the stitches and even the tension in your knitting. This is probably the main reason to block knitting. 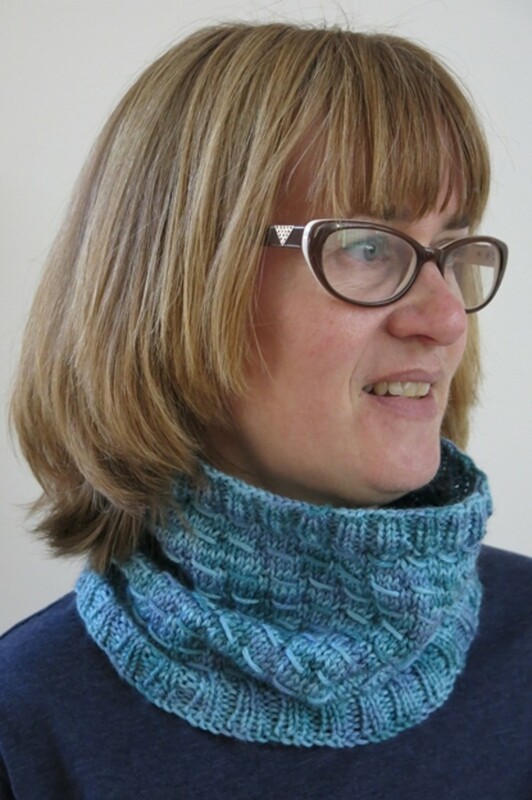 In particular, if you are doing a complicated pattern on the front side of your knitting (say, with cables), and just purling through on the back side (wrong side), you are increasing the tension on one side and those stitches are pulled tighter than the purled row. By wetting your piece and pinning it in place to dry, you are relaxing the yarn, then letting it dry evenly. 2. Lacework usually needs blocking to open up. When you are working in lace, the pattern will often look better, or more open, after blocking. Again, by wetting your knitting, then pinning it to dry, the yarn will shrink and allow the eyelets and the design of your lace to open, becoming more visible. 3. Blocking can flatten curling edges. Most designs feature ribbed or garter stitches on the edge to keep them flat. However, if your edges are still curling, blocking will help them lay flat. You can also straighten out unevenness on your side edges by wetting them, giving them a gentle pull into place, and pinning them down. 4. A good soaking will wash away excess dye from your yarn. If the dye from your yarn is staining your knitting needles and your fingers, you will definitely need to soak your knitting and block it to avoid transferring the dye on to your other clothes. To do this, fill a wash basin with enough water to cover your knitting. Add a few tablespoons of white vinegar to the water. 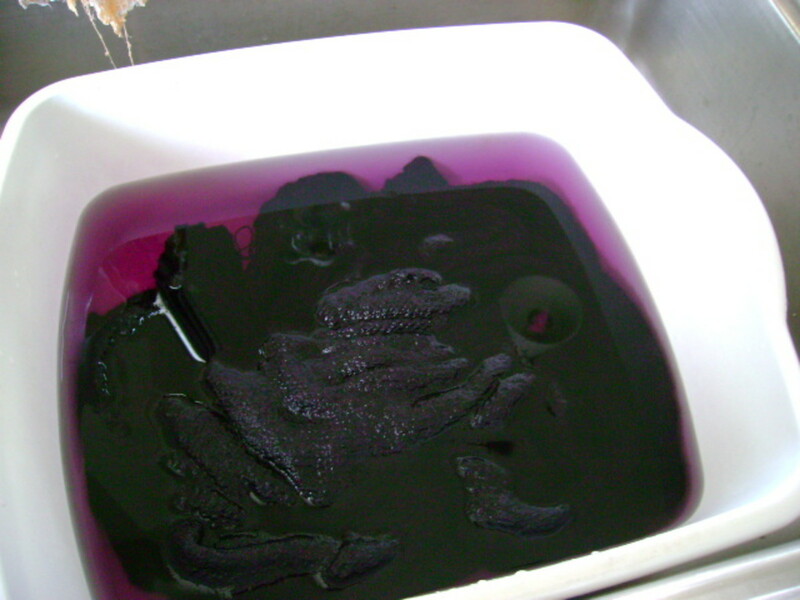 Soak your knitting in the basin for about 15 minutes, then rinse thoroughly. The white vinegar should stop the color bleeding, but if the dye is still coming out in the rinse process, repeat the soaking then rinsing. 5. Blocking can improve the finished appearance of your knitting. 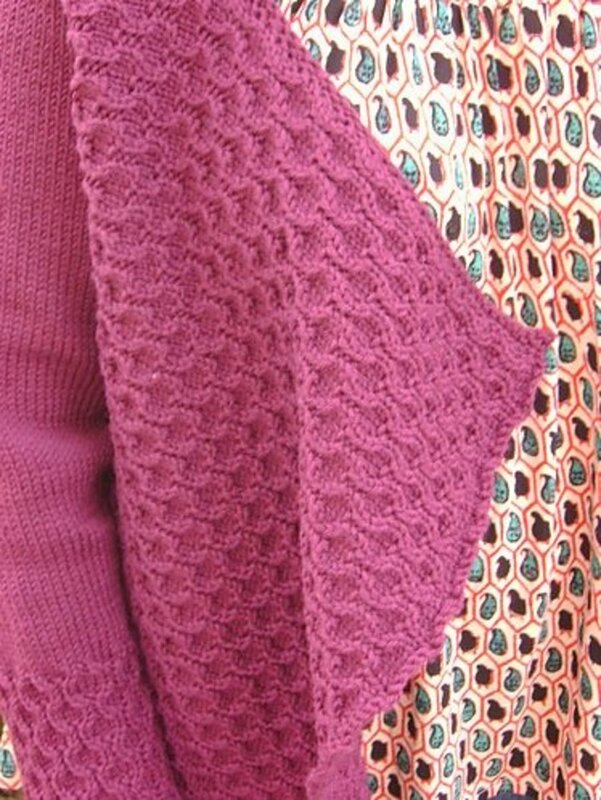 If your knitting has gotten rumpled or wrinkled in the process, blocking will give it a flat, smooth finished look. Despite the benefits of blocking, there are some situations that you should not (or at least, do not need to) block your knitting. 1. You like your project as is. There's no rule that says you have to block your knitting. If there's no adjustment or finishing that needs to be done with blocking, then go ahead - just enjoy it! 2. Acrylic yarn, rumor has it, does not need to be blocked. However, I have had some luck opening up lace or shaping a piece by blocking acrylic. 3. Be careful of over-blocking your knitting. Most yarns have a natural spring to them. When you pull the yarn, it will spring back. It's what allows the torso of a sweater to stretch over your shoulders, then bounce back to hug your body. Sometimes with blocking, you can stretch your wet knitwear too much and it takes the life out of the yarn. Your knitwear will then just kind of hang instead of hug your body. Over-blocking can also flatten out cables or other textured stitches if they are pulled too much when blocking. If you like the look of your stitches, sometimes it's best to just spot block the areas that need it (like a curling edge) and leave to design area alone. For the red sweater above, I only pinned and blocked the edge to combat some curling. I left the rest of the cardigan unblocked so as not to lose the texture of the stitches and the spring of the knitted fabric. Otherwise, the front panels would droop and hang. Something to use as a blocking mat: there are many fancy blocking mats on the market and you can find them in knitting stores and on websites. Some mats have gridlines so you can make sure your sides are straight. Many knitting suppliers sell foam mats made up of interlocking tiles that allow you to adjust the size. For years, I simply used a corrugated cardboard box (you can see it in some of my photos). This works fine as long as the cardboard is thick enough to hold your pins and big enough to spread your knitting on. I recently upgraded to a foam interlocking mat, but instead of buying one from a knitting store, I got mine at my local big box retailer (sold as an exercise mat). You can also use the interlocking foam playmats that they sell for small children. T-pins: sold at craft stores and sewing suppliers. Again, I got mine at my local big discount retailer. I paid $1 for a box of 50 pins. I would suggest starting with about 100 pins (more if you are blocking an adult sweater or other large item). I now have about 250 pins and that seems to cover all my needs. When pinning down your knitted piece for blocking, you should place pins about an inch to 2 inches apart. If you are still getting some curling on your edges or pulling between pins, move your pin closer together. Towels: your blocking mat will probably not absorb water, so you should cover it with a couple of towels before blocking your knitting. I would suggest using at least 2 towels (more if you are blocking something very large or very wet). I use an old flannel sheet that I can fold over many times to make a thick pad. Spraying: This is my preferred method. Set up your blocking mat with your towels covering the surface. With your knitting still dry, pin it down while shaping it based on your needed size or instructions. Most knitting patterns will include a schematic that tells you the blocking dimensions for each piece of your project, or at least will tell you the finished height and width (usually for scarves or other rectangular or square items). Use a measuring tape to make sure you are shaping your piece(s) to the right size. 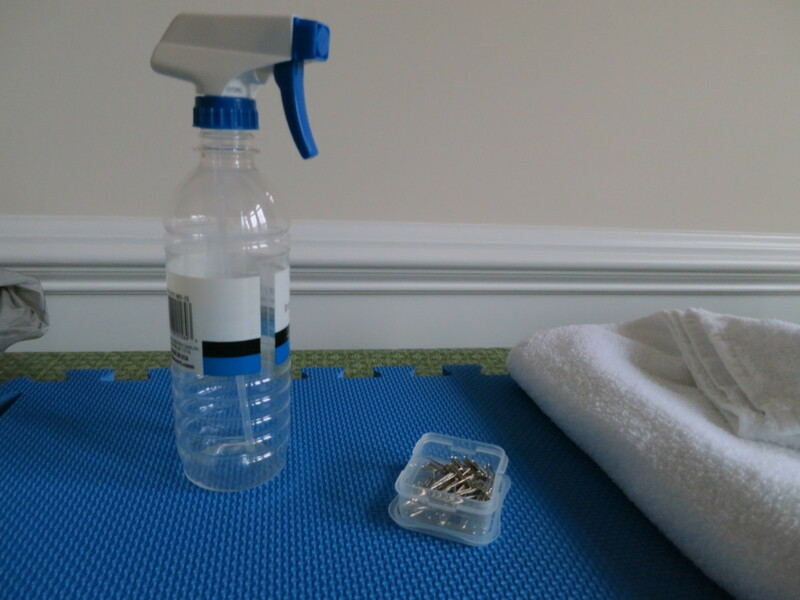 Then fill a clean spray bottle with cool water. Spray your entire knitted piece with the water, making sure to cover the edges too. You should spray your knitting until it is wet (more than just damp), but not drowning. Slide your finger under the bottom side to make sure that the wetness is getting through to the underside. Let air dry. When knitting is completely dry, gently remove pins, being careful not to snag your stitches. Add finishing touches (if any) and enjoy. There's two reasons why I like this method: 1) It's great if you just want to spot block a section or edge of your project. You can just pin, spray, and wet the area that you need. 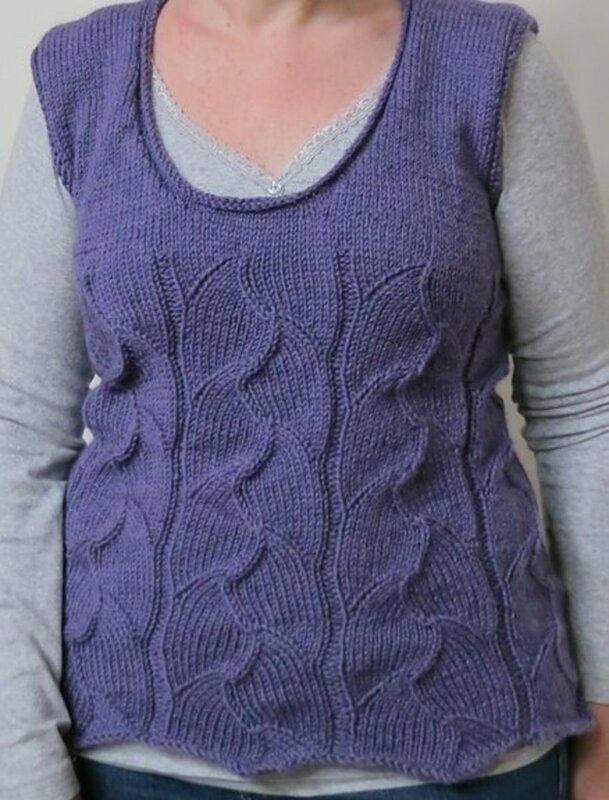 2) Since you are pinning your knitting while it's dry, you still have the structure of the knitted piece to follow as you are shaping it for blocking. Your dry fabric will only stretch so far and you are less likely to stretch it out of shape. Soaking: This is probably the most common method. Again, set up your blocking mat and cover with some towels. Fill a wash basin with enough cold water to cover your knitting. Put your knitting in the basin and let soak for about 15 to 20 minutes. (You can add a soaking detergent to your water, if you choose. There are a few different brands available through knitting stores and websites). After your knitting has soaked, gently squeeze out excess water. Do not wring or twist your piece! Then place your knitting in a towel and roll to adsorb more water. Lay knitting on mat and pin in place as described above. Let air dry. Note: By soaking your knitwear, you are relaxing your yarn and any structure your piece had. As it comes out of the water, it will be like a ball of cooked noodles. Be careful when pinning your knitwear for blocking that you don't pull it out of shape or stretch the knitted fabric too much (see over-blocking above). First, cover your blocking mat with towels and pin your dry knitting in place. Ready your iron for steaming as you would normally. When your iron is ready to use, hold it about 2-3 inches above your knitting and start to steam your piece. Move slowly with the iron, making sure to steam the entire piece, including the edges (but be sure to hold the iron away from your knitting). 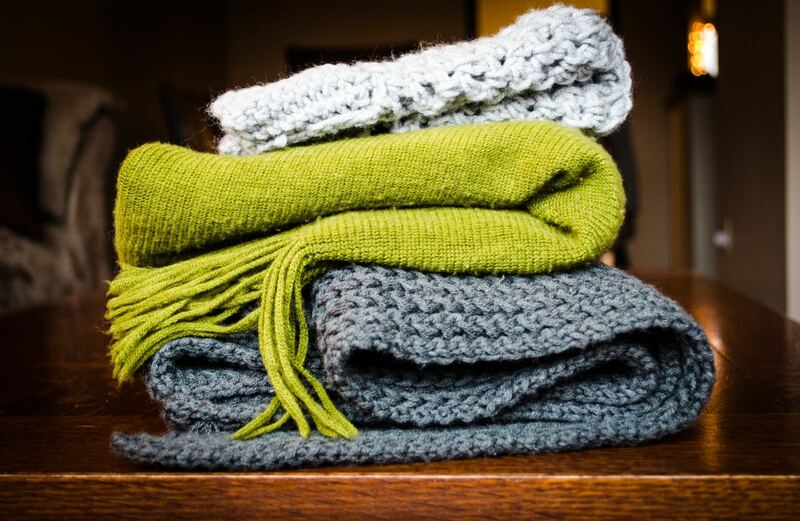 When you are finishing steaming your knitwear, let air dry completely. Blocking can be an important step in finishing your knitted project. I hope these hints give you some direction about when you should block your knitting and what is the best way to make your piece look great! Will blocking change the texture of my knitted scarf ? Blocking can open up the texture of your scarf. This is usually a good thing, as it will open up the pattern of lace. However, if you stretch your knitting too much during blocking, you can distort some knitted texture. That's why I generally recommend pinning down your knitted item first, then spraying it with water. 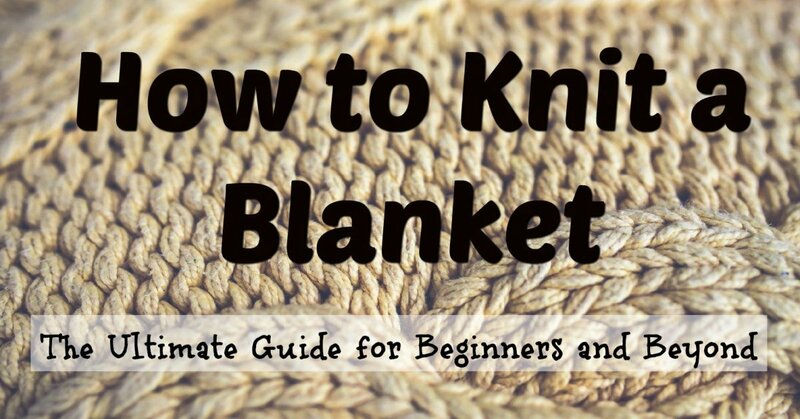 This method allows you to control how much your knitting is opened and stretched. I knit a scarf that has a leaf pattern on it. It is very pretty, but you can’t see the pattern very well. I thought when I blocked it, the pattern would be more visible and the scarf would be flat. I was very disappointed to find that wasn’t the case. When I unpinned it, it looked the same as before I blocked it. Can you give some advice? It's always disappointing when a project doesn't come out as we hoped. 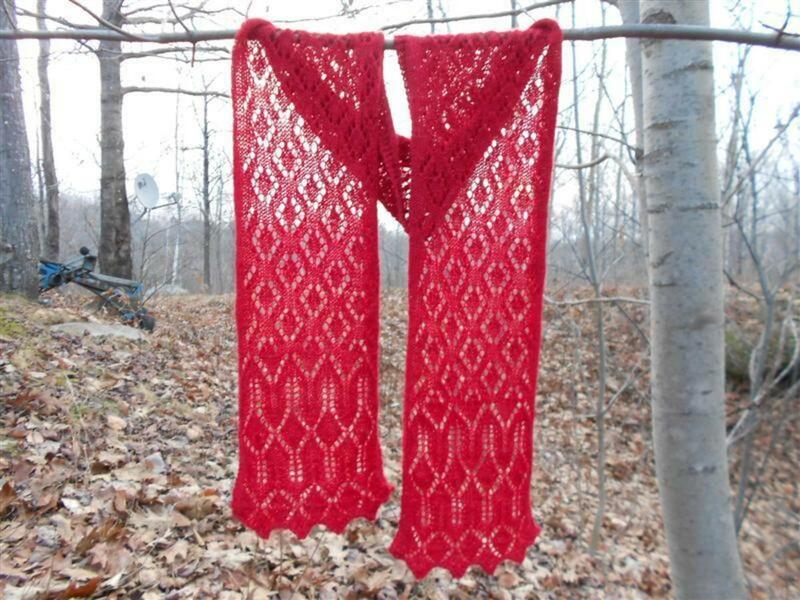 I assume your scarf has a lace pattern and maybe the lace didn't open up enough during blocking to show the pattern. If this is the case, you can soak your scarf and block it again, and pull it open a little bit more when pinning it to dry. Hopefully, this will open up the pattern more. Another issue may be your choice of yarn. If your yarn has a lot of variegated colors, the pattern of your scarf may not show up. Likewise, if your yarn has a lot of texture, the pattern might get lost. If this is the case, there's nothing really you can do except knit your scarf again with a more straightforward yarn and let the pattern be the detail of your scarf. Usually, a good block will straighten any twist your knitting might have. If blocking doesn't work, you can try ironing your scarf between two damp towels on low to medium heat. However, do not iron your piece if it has any cabling or other three-dimensional texture (like bobbles). I hope this information helps! I knit a sweater, blocked it and stretched the stitches way too far. It has grown a good 8 inches from pre-blocked size. Is there any way to fix it? I haven't tried any of these fixes, but I think the suggestions outlined in the article may only work if your item is made of wool. However, they may be worth a try. It sounds like you have nothing to lose. I didn't know about blocking when knitting. Can I uncurl the front edges of a cardigan that I have already sewn up? Yes, blocking should help flatten the edges of your cardigan even after it has been assembled. In this case, I think you should pin down your item while it is still dry. Then you should just spray the edges of your sweater that are curling with water. Leave your item pinned in place until it is completely dry. Sorry to hear that, Marg. Have you already blocked your item? If not, I would try blocking it and see if that clears your holes. If the holes are still there after blocking and drying, you might be stuck with them. They might be a small irritation that is only really noticeable to you. If they still bother you, you can use a small sewing needle and thread to make a few stitches in each hole to close them up. I hope this helps! The life lines that I used left larger holes than the stitches in my knitting. How can I get rid of them? Hi Joyce - Great question! I always blocking my knitting right side up. I've read that you should block anything with cables inside out, but I never have. I think blocking items right side out and up allows you to see any stretching or warping when you are pinning your piece. Thanks for asking! When pinning your garment prior to blocking do you lay the piece right side or wrong side up. Hi Riley- I would wait until after blocking your scarf. I think your tassels might get a little frayed during the process. I would wait just to be on the safe side. Good luck! 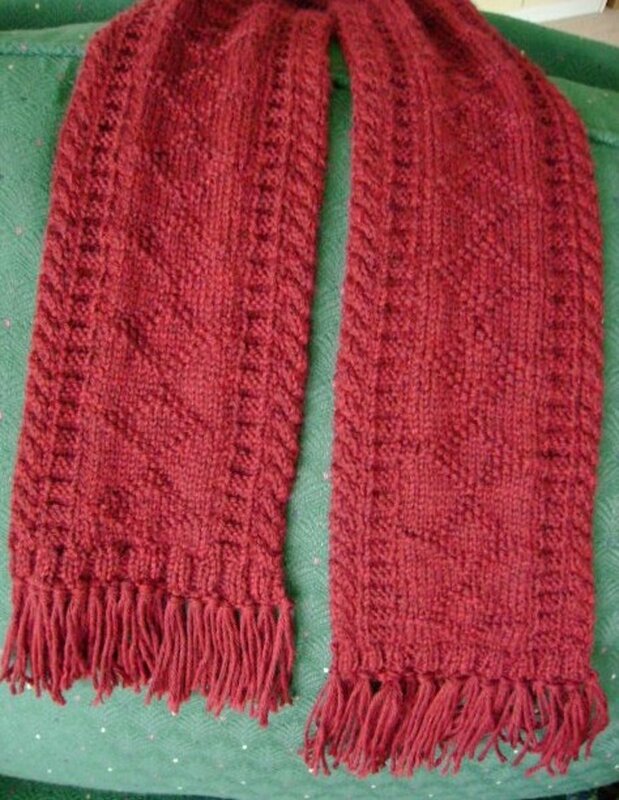 Hi, I'm knitting a scarf that I would like to add tassels too...should I add them after blocking my scarf or would adding them before before be okay? My thinking is that it might be okay, since if you do blocking correctly the project won't felt, BUT these strings are loose and they might felt together, so I'm thinking I should just wait til after I block my piece. Hi Marian - So glad you find this hub helpful! Good luck with your upcoming knitting projects. Thanks, as always, for stopping by and commenting!! Great article. I'm bookmarking this for future use. Hi Case1worker - your method is similar to steam blocking described above. 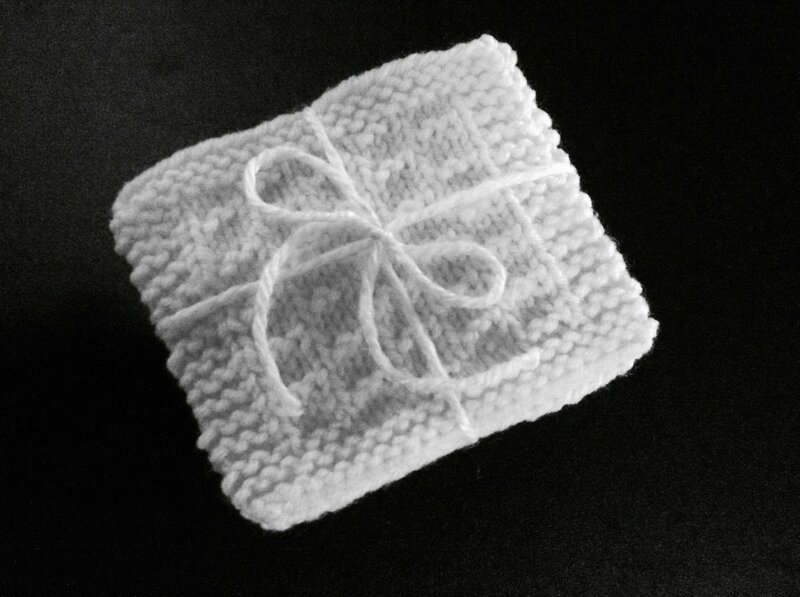 I've ironed (gently) a few knitted acrylic pieces when all else failed. I'm glad it works for you. Thanks for your comments!! I don't block much but the cardigan I am working on at the moment is a striped pattern and I need to perfectly allign the seams. I use the method my mum taught me which is to place the knitted piece on an ironing board, put a pilow case on top and spray it with water, then iron, works for me as they say! However interesting to see how others do it. Great hub purl. Blocking always sounded so mysterious and difficult, but your hub makes it seem like something I could do now. Thanks! Hi irvinetraveller - Sadly I don't crochet, but I'd like to learn :) I would think the principles are the same, though I'm not sure you have to worry about tension and opening your stitches with crochet. Sorry I can't be of more help. Thanks so much for your comments!! Great hub! I was wondering if blocking is also advisable for crochet pieces. Probably is. Thank you. Hub is well organized and well written. Hi Kidscrafts - Thanks! I hope you find these helpful :) Thanks, as always, for your comments! Good tips! I didn't know about the blocking at all!